Asbestos is one of those horrible substances that you just don’t want to mess around with in Los Angeles CA or anywhere else, for that matter. It’s composed of mineral fibers that, when released into the air and inhaled, can enter the lungs and cause major health problems, including mesothelioma, asbestosis, and lung cancer. Asbestos was used throughout homes and commercial properties since the 1800s up until the 1970s, when it became heavily regulated by the government. Before the 1970s, products containing asbestos were absolutely ubiquitous because it was cheap, had excellent insulating properties, is fireproof, and completely flexible, so it could easily be accommodated into many products’ designs. Asbestos was used in almost all commercially-available products. When World War II hit, asbestos was used extensively in the shipbuilding industry because it can withstand very high temperatures without becoming damaged. According to the Mesothelioma Center website, certain positions put workers in regular direct contact with asbestos—shipfitters, machinists, pipefitters, electricians, boilermakers, and painters. Many veterans of World War II and the Korean War continue to deal with harmful effects of asbestos exposure, and some develop serious health conditions such as mesothelioma or lung cancer as a result of exposure many years ago. The Mesothelioma Center website also explains that “California’s abundant asbestos deposits and countless shipyards contribute to the state’s No. 1 rank in the United States for mesothelioma and asbestosis deaths. The main focus of our mission at H2 Environmental Consulting Services is on making California homes and businesses safer and more healthy for everyone to live in each day. 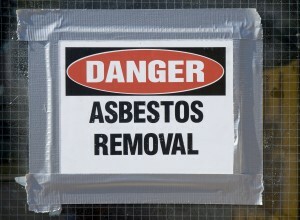 That’s why we provide a wide array of asbestos removal services in Los Angeles CA and throughout Southern California. We don’t just remove asbestos, though—we also test for and safely remove other harmful contaminants such as lead, mold, fungus, PCBs, and more. We’re the hazardous material removal experts in Southern California, so you can trust us that if asbestos or any other contaminant is lurking in your home, we will fit it and eradicate it in the safest, most efficient way possible. H2 Environmental Consulting Services actually teaches other companies and organizations about hazardous material removal, including why it’s important to remove and best removal practices, that preclude the chances of contamination and follow all federal and state laws regarding asbestos and other hazardous materials in Los Angeles and throughout Southern California. Call (800) 524-3578, email CustomerService@H2Env.com, or send us an online message by clicking “Contact Us” at the top right of this page to reach the best asbestos removal company in Los Angeles CA and schedule an on-site environmental evaluation of your residential or commercial property today.